We are right smack dab in the middle of wedding season. Our refrigerators are decorated with ‘save-the-dates’ and bridal shower invites and wedding invitations. Just in the last week, there have been four bridal showers to attend. Whew…a busy time for sure…but such an exciting time for the brides and grooms. Collaboration: Working together for a team sport is crucial for the team to be successful! Think of team as “together everyone achieves more.” You become an important part of a joint effort to work hard and become winners. Commitment: Making the choice to be part of a team demands 100% commitment. Discover what your role is then commit to contributing to the team in the most positive way possible. Stay in it for the long haul. Communication: Talking to each other frequently prevents problems later. If there is an issue on the team, it is usually because of a communication breakdown. Talk, talk, talk…talk with each other often! Comfort: Encourage your teammate(s) if something goes wrong. Cheer on your teammate(s) when something goes right! Offer comfort in all circumstances! Convenience: Home games provide home-court advantage and convenience for the home team. It is nice to know the gym inside and out and have the home crowd rooting for you. 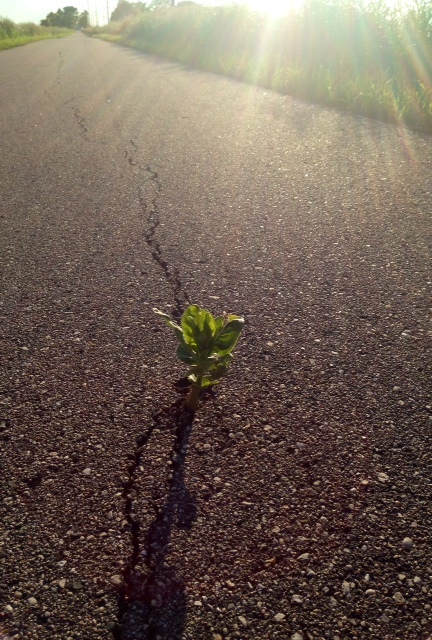 Continuance: There will be times when things just don’t go the way you’d like them to! Keep that ball flying! Continue to give it your all. Keep on practicing! Stick to it! Never ever ever quit! Care: When all is said and done, be in harmony with one another. Shake hands with the opposing team and consent to leaving the rest on the court. Never ever ever leave angry! Life is too valuable to waste being negative. 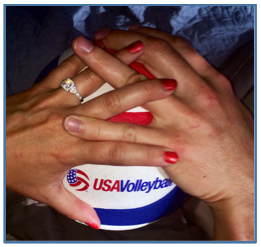 Marriage like volleyball takes work. Consider these tips and you are sure to be successful—at both. 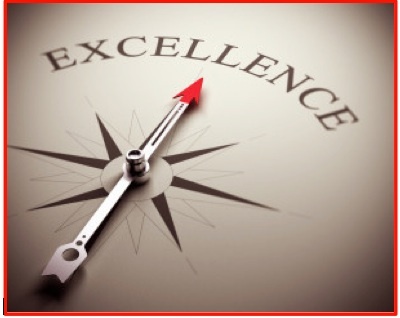 Strive For Excellence…NOT the Award! The end of the school year for graduating high school seniors means senior recognition. Students who have achieved honors for being the valedictorian or male and female athlete of the year. What does this mean for the future of these senior graduates? The moral of this story? Strive for excellence, seniors, not the award! Being the best you can be is more important than a title! The title of athlete of the year or valedictorian or scholarship recipient is a great achievement; however, this title acquired will not be remembered by many ten years from now! Of course, YOU (and your parents) will remember! What is most important is…did you give your all? Did you do the best you could? Did you strive to be excellent at whatever you chose to do? That’s all that truly matters! As you go off and experience life on your own, strive for excellence…always!!! Once upon a time the phrase “Reading for fun” was something we said when we talked about leisure reading…for fun. As we get older with life’s responsibilities and pressures added to our plates, “reading for fun” sometimes is forced into the backseat. What if we changed the phrase and changed our perspective? How would it impact our kids? Education? What if we changed it to “literacy for fun” or “literacy for living” or something crazy like that? There are six literacies that need to be the focus of formal education as well as life learning: listening, speaking, reading, writing, viewing, and visually representing. What if our focus was on all six of these literacies in everything we do? For our work? For our learning? For our life? 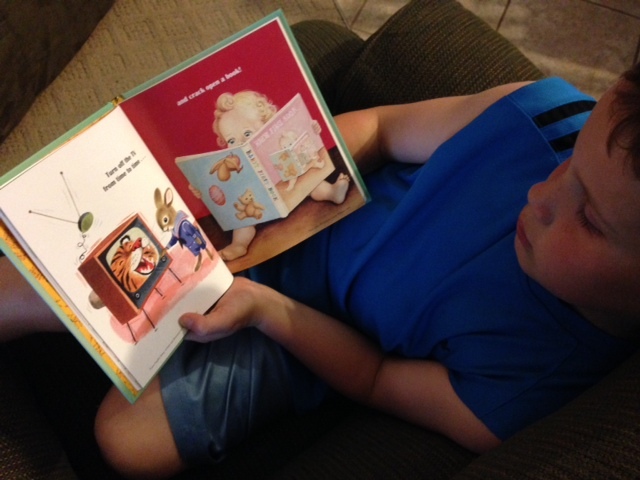 We want our students, our citizens to be life-long readers, life-long literacy lovers. Read a book and then see the movie. Compare and contrast it over ice cream, coffee, or another treat of your choice with friends or family. If we were betting women, we’d put money on it that you’ll find the book to be much, much better! The alphabet game or “I spy” provides ample opportunities to consider literacy…especially when trying to spy that “Q” or “Z” letter while tootling down the road in the car or while sitting in the waiting room at the doctor’s office. Try an “I spy” adjective or adverb style game. You need to see the “description” of an object or how something is happening instead of just identifying the noun/object. Maybe it is finally time to start that neighborhood book club! Why wait?! What is the most recent book you have read? Tell us! What is a book that you recommend for “fun?” Tell us!